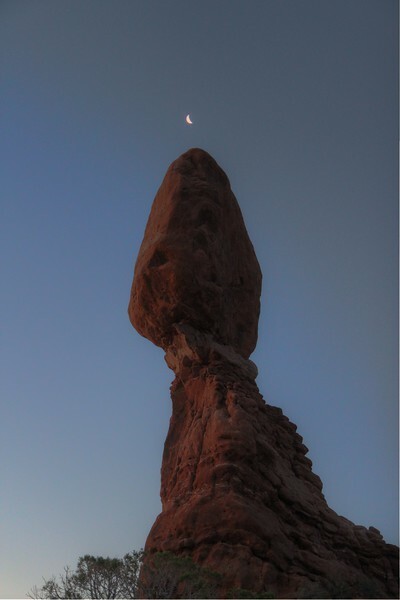 Balanced Rock is giving moon gazers a point in the right direction. Balanced Rock is located in Arches National Park, Utah and is one of the most famous features in the park. The total height of the rock is 128 ft.